I'm going to share with you 2 resume writing examples to help you create a free printable resume with a good track record of scoring interviews. I recently taught an employment workshop in our community. One of the participants told me she sent out over 50 resumes to local employers with not one stinking call back. She was convinced it was purely age discrimination. I shared with her my job resume example along with the resume writing tips I'm going to outline for you below. The phone rang over at my office. It was Karen. After our workshop, she brushed and fluffed her resume using my resume writing examples, and promptly sent out 12 resumes. The result? Two calls inviting her to interview. Most resume layouts are boring and make you look like every other candidate. Do you get excited about ordinary? Creating an attention-grabbing resume is hard work...but it is well worth the effort. To help you grasp the logic of my job resume example, I've created 2 resume writing examples in a PDF format...just the way a prospective employer would read it. The first job resume example is the finished product...but wait...before you go there, finish reading this article to learn what to watch out for when you create your own resume. The second job resume example is the exact same resume, but I've included all of my help notes in the right hand margin to explain step by step the logic of this powerful resume. To get the most out of this, I suggest you print off the 2 resume writing examples as we discuss the important details. At first glance, it's hard to figure out why this resume is so well liked by employers. Hiring authorities don't have to do a lot of work and research to figure out what products or services your prior companies delivered. Make it easy for managers to know this by just reading your resume. 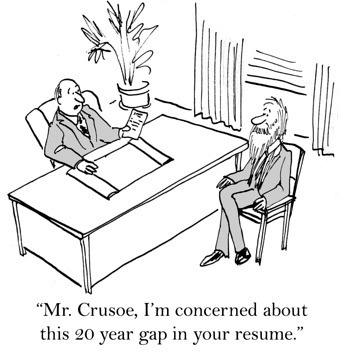 Very Important: The only purpose of a resume is get a face-to-face interview with a hiring authority. Period! The secret to a good resume is providing just enough information in an easy-to-read-format, so hiring authorities are left with a positive impression about you and hungry for more. Check your ego at the door when you're writing your resume. If you provide too much information, you run the risk of getting screened out. Save the best of you for your job interview. Use Arial 10-12 font. Always use the color black throughout. Never use red or other colors. Comments: Arial is a simple, clean font that is easy to read. If your job history is short, use 11 or 12 point. The first time someone lays their eyes on your resume, they are not going to read every word of it. First, they will scan it to see how you've formatted your information and to see if any key job requirement words or phrases jump out at them. You want the Look and Feel of your resume to invite the reader to want to know more about you. In 10 seconds or less, they are going to decide whether or not your resume is worth their valuable time to actually read. Create your resume in a simple Word or PDF format. Avoid templates and borders. Comments: These are universal formats that 99.99% of every company can easily store in their resume database. They are also easy to attach and forward to others in the company. Funky templates and borders sometimes fall apart when emailed around and can mess up your resume content. Also, if you have the latest and greatest version of Word, email your resume using the older, more common version (.doc instead of .docx). A lot of company systems who haven't upgraded their version of Word may not be able to open your attachment. To avoid all of this, just provide your resume in a PDF format as it is compatible with all systems and versions. I used a PDF format in my resume writing examples. Always include your full address and contact information. Comments: For some reason, some folks are leaving off their address these days. They only provide their name, email address, and cell phone number. This is a bad idea for several reasons. When you do this you are shouting, I don't trust you. Second, companies and recruiters store your resume in sophisticated databases that allow them to search by location, area code, and other factors. They may never be able to find you again in their database. Third, companies and recruiters don't like it when you do this. 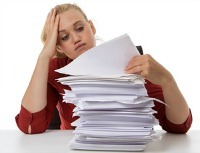 Do you want hiring authorities to be annoyed the second they lay their eyes on your resume? Comments: One reason folks may leave their address off their resume is because they don't want to be eliminated as a serious candidate for relocating. You may live in California, but want desperately to move back home to Ohio. Many times a company will see the California address and read no further because they don't want to pay for a major relocation. What the company doesn't realize is you may be renting and more than willing to relocate at your own expense. So, sometimes candidates try to minimize this risk by leaving off their physical address. Tip: If you are willing to pay your own relocation expenses to move back to your home town, just put one of your family member's address on your resume. Your area code doesn't matter anymore as people often carry over their cell phone numbers no matter where they live. Employers will see the local address and won't automatically eliminate you because of potential relocation costs. If you do get invited in for a job interview and they extend you an offer, you can often negotiate in relocation assistance. Minimize using special effects like underlining, italics, or bold font. If overdone, it makes your resume look amateurish. See the effective use of these effects on my resume writing examples. You don't need to limit your resume to one page. Comments: The one page resume rule is a myth. I have no idea how this ever got started. It probably originated in colleges because most students only have enough information to barely fill up one page. It is perfectly OK to have a 2 page resume. Obviously, if you're mid-to-late career, you can't possibly fit your experience and accomplishments on one page. If you're late in your career, one way to keep your resume from being 5 pages long is to just outline your experience for the past 20 years. Beyond 20 years, how relevant is that experience? Not only that, too many companies age discriminate. This is a perfectly good way to conceal your age without being dishonest or deceptive. Read your resume out loud. This forces you to actually read every single word on your resume to see how it sounds. This will also help you spot errors and poorly worded phrasing. Last but not least... check, double check, and triple check for spelling errors. You might be able to get away with one typo, but 2 typos, and your resume will probably be rejected. Three errors...forget it. Hope these resume writing examples help you make a free printable resume to win job interviews...and job offers. Read the introductory chapter, the table of contents, and watch a short video as to what makes this book different.